Earlier this year, we introduced you to J.Dogg Phair's Thought-U-Knew! barbecue sauce - a tasty potion featuring bacon, chipotle and other goodies. 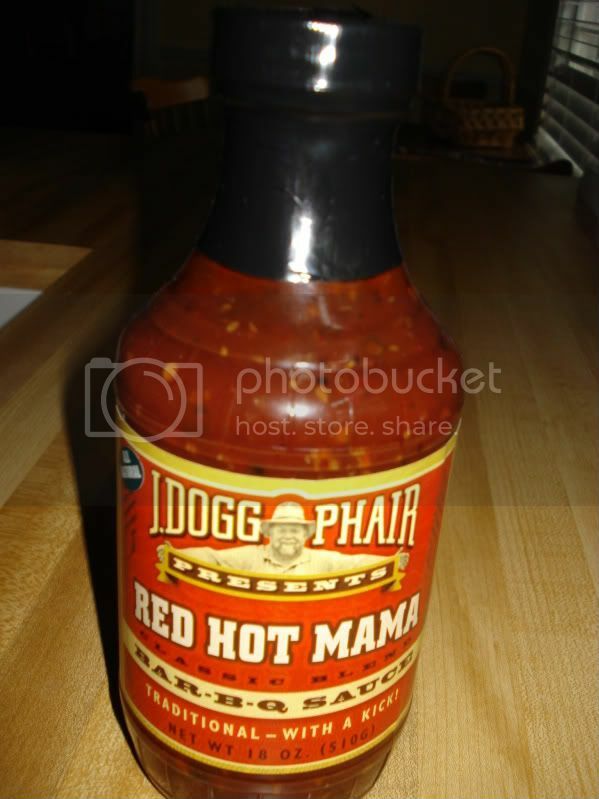 This week we focus on the flagship of the J.Dogg Phair line - Red Hot Mama. Although many of the underlying flavors in the two sauces are similar, this sauce's accoutrements make it unmistakeable. Red Hot Mama is so laden with big chunks of garlic, onion and spices that it's almost more like a stew than a sauce. I mean...big chunks of stuff...just look at that picture! But the best part is the potpourri of incredible flavors that all of those chunks yield. On various bites, I could swear I tasted cloves, oranges, cinnamon, rosemary, mint, sesame, ginger, marjoram, tellicherry pepper and more. Everything but the kitchen sink! But every bite ends with a legitimate dose of peppery heat that will leave your taste buds tingling. This sauce is so complex, flavor-wise, that I'm not sure how well it would work as a complement to barbecue. But shoot, the stuff is tasty enough to just eat by the spoonful.